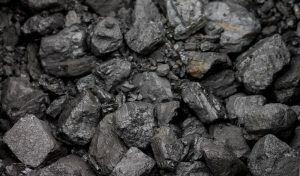 Raleigh and Wyoming counties account for 24 percent of coal mined in southern W.Va.
BECKLEY, W.Va. — While it has been known for some time that coal production, particularly in southern West Virginia, had bounced slightly back in 2017, the United States Energy Information recently releasedits in-depth 2017 Annual Coal Report which offered further details to that bounce back. According to the report, the five coal-producing counties in the Register-Herald distribution area —Fayette, Greenbrier, Nicholas, Raleigh and Wyoming — were home to 46 mines which produced nearly 15.6 million short tons of coal in 2017. Expanded across all of the southern portions of the state, those figures expanded to 125 mines which produced over 46 million short tons of coal, which was a 27.1 percent increase in production from the year prior.